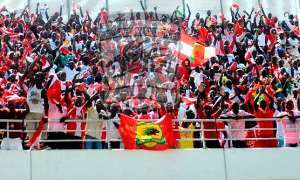 Asante Kotoko fans are calling on management to come clear with what triggered the decision to sack coach Steven Polack. The English trainer was relieved of his post last Friday but there was no reason for his dismissal. There are suggestions Polack was fired due to the club's poor performance in this year's CAF Confederation Cup. Kotoko were bundled out of the competition in the first round by CARA Brazzaville and barely 48 hours later, the club released a statement to confirm the firing of Polack, whose contract was extended by a year last November. Although a new coach Paa Kwesi Fabin has been appointed, Nana Kwame Dankwa, who is an executive of the Great Accra Circles Council wants the Dr Kwame Kyei-led administration to come clean. ''Polack was given a probation period of six months to serve as Kotoko coach so after the season if he was not performing why do we hand him a new contract?'' An unhappy Dankwa quizzed. He won the MTN FA Cup and guided Kotoko to a fifth-place finish last season.